I’m thrilled to announce that the district 1:1 student laptop program is coming to middle school students this fall. Penn Manor’s board of directors voted on Tuesday night to expand the program into grades 7 and 8. Approximately 800 students will receive a district-issued laptop at the start of the 2015-16 school year. The middle school 1:1 laptop program builds on the high school initiative originally launched during the 2013-14 academic year. Over 1700 laptops were issued to students in grades 9 – 12. Our middle school 1:1 vision mirrors that of Penn Manor High School: Pervasive access to rich personal technology energizes personal intellectual development and enables students to construct knowledge for college, careers and beyond. We believe laptops provide the best learning device for Penn Manor students and classrooms. Laptops are not only excellent day-to-day instructional tools for reading, writing, and web research; they are modeling clay from which students create new and meaningful learning artifacts. With an ample menu of applications for programming, 3D drawing, multimedia, and science, laptops offer the diversity of tools needed to create amazing new things. Student computers will be low-cost, durable 11.6” laptops running 100% free and open source software on Ubuntu Linux. An open source philosophy is a cornerstone of the high school 1:1 program, and will be central to the middle school program as well. 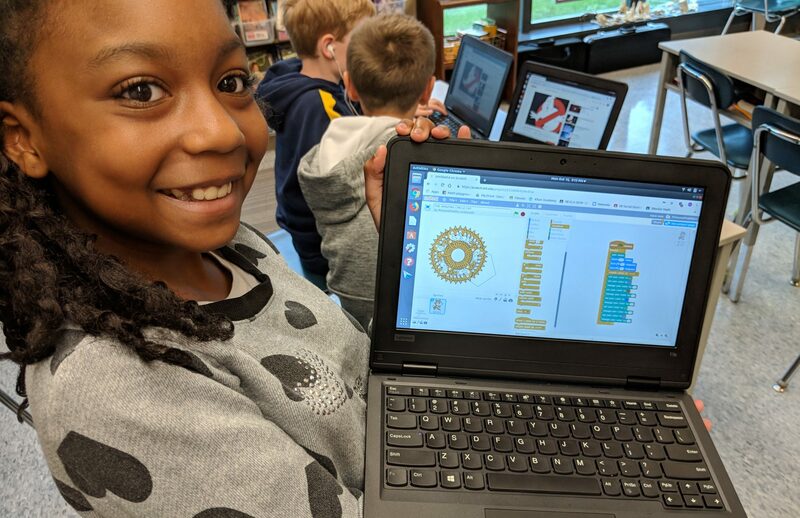 The powerful combination of inexpensive PC hardware and open source software helps contain costs without compromising instruction or student opportunities. The existing 1:1 program underscored the fact that self-directed student learning happens outside of formal classrooms. Middle school responsible use policies will mimic those at Penn Manor High School; students will be trusted and given the opportunity to be responsible with their school-issued devices after school hours and at home. As a public school district, it is incumbent upon us to provide every child with outstanding academic resources. The expansion of our 1:1 laptop program demonstrated a deep commitment to this duty. I’m so proud to be part of a learning community that help make it happen. More to come as the initiative develops! This is the most amazing project I have ever heard of for schools and the enormious amount of money it saves Taxpayers. Ubuntu is secure fast and fun. Ihave run it since 2008 and have Not spent a penny for anything and No downtime or worries. Love my Ubuntu. Time for the rest of the schools to really wake up and start using Linux and open source software. When much of the rest of the world is using Linux and open source software in schools and business, how are we going to be assured in compatibility with the rest of the world? Don’t bet on Microsoft or closed source software to be the answer.